Our gilets and bodywarmers are great for maintaining a warm core temperature and allowing for extra movement in the arms. Lock out the chill with an insulating women’s bodywarmer from Hawkshead. 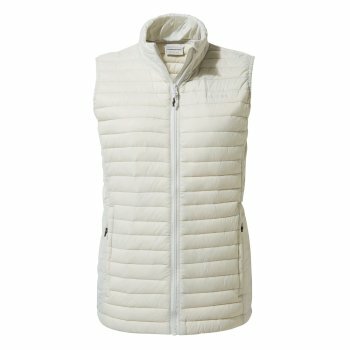 With many options to choose from, all from leading outdoor brands, you’ll find the right gilet for your lifestyle. 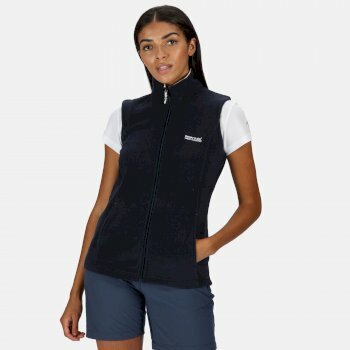 Whether you need a lightweight women’s gilet or a women’s padded bodywarmer in colder climates, Hawkshead has a broad selection to choose from. Combine one of our women’s bodywarmers with a long-sleeved base layer in spring, or double-up with a fleece, hat and gloves in the winter months. Browse our full range of women’s body warmers and buy yours today. Layer up and get outdoors with a women’s body warmer. With a wide selection from leading outdoor brands, Hawkshead has everything from fleece to multi-pocket options, all designed to be lightweight yet insulating – ideal for those in-between seasons. Partner your ladies’ body warmer with a women’s fleece top for a practical outdoor outfit that’ll serve you well whether rain or shine. Stay snug and stylish with one of our women’s gilets. Available in a range of colours and styles, combined with faux fur trim and biker zip detailing so you can match your outdoor wear to your personal style. As always at Hawkshead, practicality is high on the agenda too. 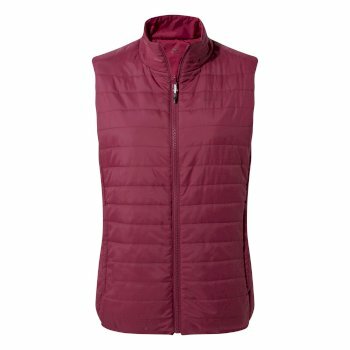 You’ll find women’s gilets with built-in insect protective technologies, plenty of pockets and water-resistant fabrics. What’s more, all our women’s body warmers are designed to deliver extra insulation without weighing you down – which is why you’ll find lightweight women’s gilets easy to wear and pack away in your rucksack or travel bag in our collection. Our ladies’ body warmers are the perfect go-to item for brisk walks, day trips and holidays away. Add an essential layer to your wardrobe. Shop our full range of women’s bodywarmers today.